If you run into any problems with your heating system, delaying repairs can be a huge mistake. Even minor issues can cause inefficient comfort, waste energy, and can even be dangerous. At Air McCall, we understand that the potential time and cost involved with repairs can be intimidating. When you count on us for all your service needs, we will minimize time, maximize savings, and get your home back to the comfortable, safe environment you deserve. Through extensive training, sophisticated tools, and factory authorized parts, our certified technicians will quickly determine the issue and provide the assistance you need. There are any number of things that can cause difficulties with your heating system. Properly diagnosing and solving the root cause requires technical expertise and practical experience. The team from Air McCall is NATE-certified, factory trained, and has the in-field background to pinpoint the problem and provide accurate, lasting, and cost-effective repairs. Trust us to resolve the immediate issue and properly adjust your equipment to keep operational costs down, and promote reliable operation. Air McCall technicians are specialists with heat pumps, gas furnaces, oil furnaces, and air conditioning. In fact, Air McCall is one of the few HVAC Contractors licensed to install, service, and repair gas furnaces and oil furnaces. Many problems that occur with any type of heating system are the result of the lack of proper cleaning and maintenance. Dust attacks the basic components of the unit, such as the filter, blower, and motor. If addressed quickly, the solution can be as simple as a thorough cleaning and tuning. The licensed servicemen from Air McCall will restore your equipment to peak condition, improving efficiency and performance. However, if ignored, dirt can cause major problems, leading to overheating, possible system failure, and safety issues. The heat exchanger separates the combustion process from your home’s air stream. Many factors, such as poor maintenance, corrosion due to damp air, and overheating, can result in heat exchanger failure. Considering the dangers of carbon monoxide, it is imperative that the integrity of your heating exchanger and overall system functionality be professionally checked and corrected. 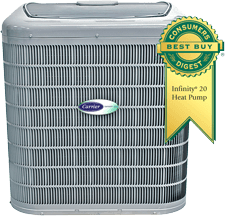 The HVAC specialists from Air McCall are prepared for any type of heating repair, and provide service on any brand of gas or oil furnace or heat pump, regardless of age or where you purchased it. We are happy to inspect your system for installation faults, safety concerns, efficiency problems, or any difficulties you might face. 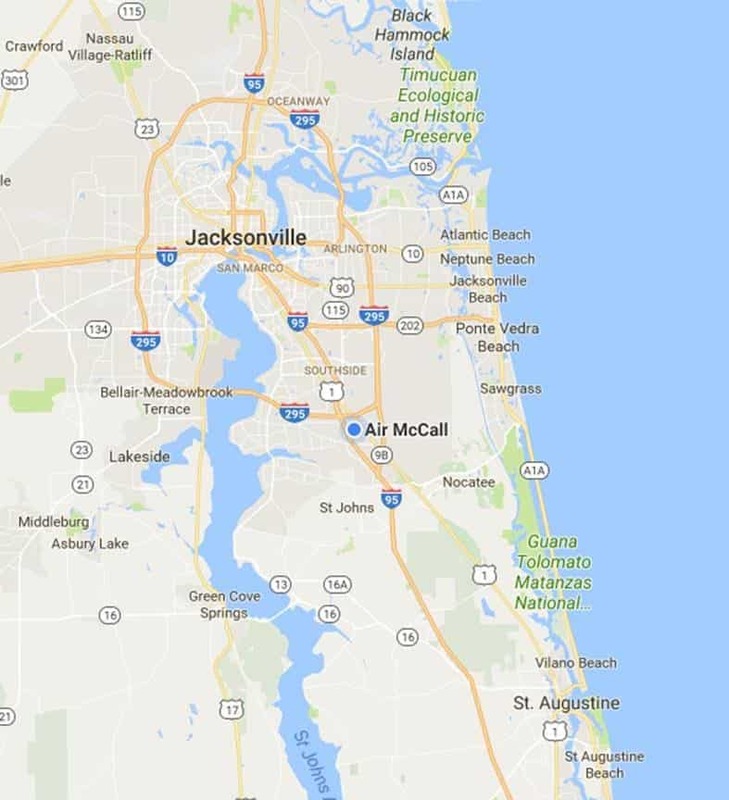 As a family owned, locally operated HVAC contractor, we provide service throughout Jacksonville, and take the comfort needs of our community seriously. Our A+ rating by the Better Business Bureau is evidence of our dedication to customer satisfaction. As a Carrier Factory Authorized Dealer, our technicians receive ongoing training specific to industry advancements in products and technology. We rely on Carrier Factory Authorized Parts whenever possible to promote system efficiency, reduce operational noise, and increase longevity. It is important to us that our service meets your expectations for professionalism, timely response, and satisfactory results. At Air McCall, we solve your problems and keep your home comfortable.